That’s three quarter finals out-of-the-way now, one more left. This one being the game which carries the most interest for me being England. Why I’m getting excited I don’t know, the football hasn’t been the most entertaining but I suppose once there’s representation from our own in the form of Theo Walcott and Alex Oxlade-Chamberlain I get that sense of willing them and the team to do well like a pushy parent watching their child in an under-8 match. Italy is going to be a daunting match; anyone who does not follow either team will struggle to find any positives in a match between two sides whose strengths have been keeping it tight at the back. The match will be as close to a chess game as you can get, there’s no wonder that there has been talk of penalties as this game has stalemate written all over it. Each country does have an ace up their sleeve to turn the game on its head and provide us with moments of magic to be remembered. In the blue corner is the unpredictable Mario Ballotelli, this guy is such an enigmatic free spirit that he could win the game single-handed… if he feels like it. There is such a fine line with this guy that he has as much chance banging in the winning goal as he has doing something brainless and getting himself sent off, let’s hope its Mr. brainless today. In the white corner it’s our very own Oxlade-Chamberlain. Young Alex has shown so much maturity in this tournament so far, thrust into the starting line up for the opening game against the French he did not let his teammates down. He has done everything asked of him when he has come on for England as Roy Hodgson has laid down strict instructions to each player to maintain his tactical plans and ensure results are ground out. Could this be the time that (excuse the copyrighted Wengerism) the hand brake is taken off? Arsenal fans know what the Ox can do with the ball at his feet and we have witnessed at the Euros so far his unfamiliar restraints as more focus has been on keeping shape, playing it simple and not giving the ball away cheaply. As these two defensive teams set up against each other it will need the intervention of a special player to make that difference to win the game. Why cant that player to make the difference be Mr Alex Oxlade-Chamberlain? 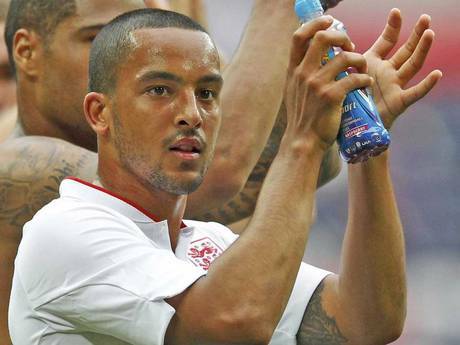 As much as I think Theo Walcott has earned an opportunity to start and be more involved in the England team I can’t see him getting much change out of the disciplined Italian defence. They won’t leave gaps to exploit and have the nous to play on his weakness: the physical battle. With that said I hope I am completely wrong, I want to be wrong on this front as I hope he can leave as big an impression as he did in the Sweden game. It really is an opportunity for both our Arsenal starlets to make a real name for themselves. All eyes with be on Italy and England tonight, only one team can win and so someone has to play a part in getting their country through. It was nice to see Laurent Koscielny play 90 minutes for France last night against Spain. Although Spain came away with a 2-0 win our centre back had a good game and wasn’t overawed by the occasion. Overall there were some undertones coming from the French that all was not well and just like what we saw with the Netherlands it affected the team performance. Nasri started on the bench and despite how much I dislike the mercenary I have to admit he has been one of the better performers so far for the French. The alleged disagreements that have gone on behind the scenes in the French camp had a knock on effect on Laurent Blanc’s team selection resulting in Nasri not starting the game. Even when he did come on in the second half his body language was one of disinterest as his true colours shone through; pretty glad that type of personality is no longer at our great club, good riddance. Let’s hope Giroud and M’Villa weren’t part of the infighting though I believe it revolved more around the senior members of the team. With France now out I’m hoping that the potential deals for the two players can now be concluded. Sums up his time with Arsenal last season, great going forward he adds that little bit of class to our play with his immaculate touch and control. He certainly scored some important goals for us at times but he also left us Arsenal fans biting our nails through nervousness with some of his defending. Steve Bould will surely have defending on his radar this season and will ensure as a unit we will be stronger defensively. It will be interesting how Santos takes the news since this directly affects his international opportunities. Unlike Stewart Robson whose only audience should be the Samaritans hotline; Manezes words carry more power and would need to be adhered. He knows Santos from their time together in club football and has probably told the player this a million times. Quotes can look more serious than they are at times and the managers comments could have been said more light-heartedly for all we know. Though as the saying goes: “many a true word spoken in jest”. Well that came out of the blue, here we were wondering if Alex Oxlade-Chamberlain would get the chance for a cameo role against the French. What we didn’t expect was for Roy Hodgson to give the young gunner a start in the game. This wasn’t a friendly, this was a start against one of the tournament favourites France and I have to admit the boy didn’t let his country down. 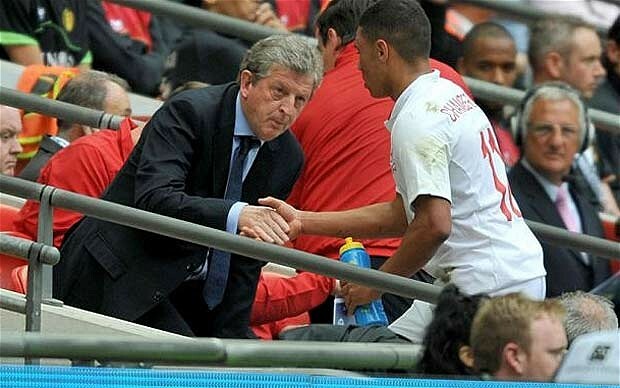 I spent the best part of yesterday’s blog expressing how I hoped Oxlade-chamberlain would play some part in the tournament but never imagined he would have been in Hodgson’s plans. Downing seemed a shoe-in for the left side of midfield due to his age and experience against a high-profile team like France. It wasn’t to be, rumours filtered through in the late morning that Roy would be starting the youngster but they were just rumours, nothing concrete to confirm. The buzz from the rumours alone were enough to get Arsenal fans excited, this was a game we weren’t going to miss but the added bonus of young Alex playing ensured it would not be missed for anything. Once it was confirmed it was a proud moment for all linked to Arsenal to see that Roy Hodgson had big faith in his ability. And to the game the young gunner did not disappoint, putting in a disciplined and controlled performance that made a mockery of his young age. We all know Oxlade-chamberlain for his dazzling runs, awesome skill and play with no fear attitude but this wasn’t a game for running gung-ho at the French team. Roy Hodgson set out a game plan to be followed and Oxlade-chamberlain ensured he did his part in a disciplined performance by England. France in hindsight were the better team, they had more chances at goal and more possession.England were camped in their own half in the second half of the game and did enough to contain the pressure. Roy Hodgson selected the team that he felt would cope best against the French flair, disciplined enough to track back and close the French down but still pose a threat on the counter. The 1-1 draw was a great result for England and Oxlade-Chamberlain can hold his head up high for playing his part in professional team performance. He was replaced in the 76th minute as Roy decided to change some tired legs; he played his part and now can look forward to the remaining group games having overcome the hardest test in the group. Expect him to have a more offensive role against the Ukrainians and Swedes if he plays. The Olivier Giroud story is starting to pick up more pace as news surfaced that the Montpellier manager Rene Girard has apparently confirmed on French radio station RMC of Arsenal’s interest in the striker. Again it could be more made up stories since it’s the easiest story to run with without hard evidence in writing. If the manager has in fact confirmed the negotiations with Arsenal let’s hope his club Montpellier can confirm this more officially soon. Special mention goes out to Sylvan Wiltord who announced his retirement from football yesterday. Our former French striker was one of the invincibles and spent a good few years at Arsenal. One of his most memorable moments was scoring the only goal at Old Trafford to clinch the title for us in 2002. Even more memorable was his part in one of the more remembered goal celebrations in Arsenal history when he allowed Kanu to pole vault over his head when in standing position. He will always be remembered for playing his part in that title clincher AND for looking like a member of Fine young cannibals. All in all we salute a former gunner who takes place in a part of Arsenal history. The day is finally here for England to show what they can do in Euro 2012. We have now reached the final day of the first set of group games. England will take on France while Sweden will take on the Ukraine. I’m a little excited now at the prospect of Oxlade-Chamberlain showing what he can do on the big stage, previous I admitted I was worried about the great expectation that would be thrown upon him after the loss of vital senior players from the squad. However that expectation was quashed slightly after the game against Belgium. I believe the press and fans realised he isn’t going to rule the international stage overnight. However he has every chance to make an imprint in these championships if used right by Roy Hodgson. The football so far at Euro 2012 has been very enjoyable, some tense affairs but also some great open games and goals too. England really have nothing to lose facing the French, they are not expected to get a win against France. Their preparation has been hindered by injuries to key members, uncertainty over who the manager will be and then the squad selection by the new manager. England fans are maybe less optimistic but maybe that can work in their favour. If England can get a result from the France game and progress from the group they have every chance. Similar to the Tennis when Andy Murray (or previously Tim Henman) makes it to the quarter finals of a grand slam the fans then start to believe it could happen, the player starts to believe he can do it and that belief can carry you on. Ok, it hasn’t quite worked out for those tennis players but my point is the psychological boost you can get from knowing the fans are behind you and believe in you really can help. Theo Walcott will be hoping to make an impact in the championships; this in effect will be his first real tournament to make his mark. He was too young for the World cup in 2006 and then wasn’t selected for the World cup in 2010. He has a point to prove and I hope he makes it. In a squad shorn of true star quality this could be the time for Theo to show he can make a difference and have the fans believing in him again like after his hat-trick against the Croats a few years ago. He is more likely to get on the field before Oxlade-Chamberlain and he needs to ensure he is first choice for the right flank. We have seen last season he can provide goals for team mates. I know Andy Carroll and Danny Wellbeck are not of the calibre of Robin van persie but if Theo keeps plugging away the chances will eventually go in. On top of that Theo should utilize his pace to get in the goal scoring positions too. On his day he is a cool finisher the only problem is his shots can be hot and cold, for every neat finish there’s a pea-roller from 30 yards a baby could stop with little effort. Hopefully he will have worked on that in training. I’m still very excited for our Arsenal boys that they can do something positive at the Euros and that starts from the first game. 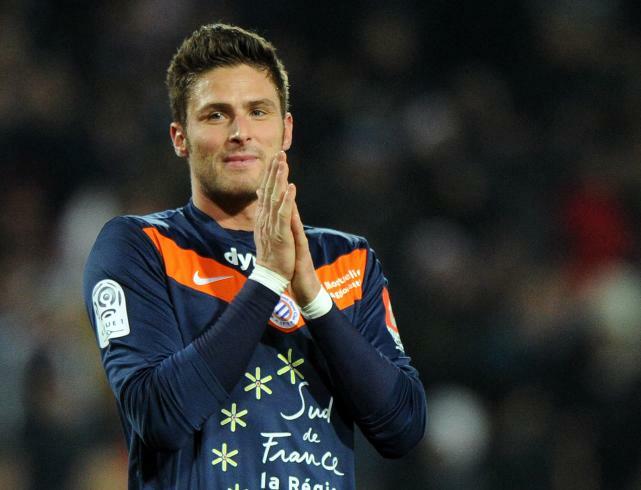 There was some news that broke last night that Arsenal have agreed a fee with Montpellier for the signing of Olivier Giroud . Sources came from Al Jazeera tv that the deal has been struck. An exciting bit of news if true but I would like some more concrete sources before I can get happy. If true then yes it is merely a price has been agreed but not anything agreed with the player as yet. With France preparing to face England I’m pretty sure nothing is likely to be agreed for now with Giroud, a good game against England and several more teams could also join the race to sign the player. I suggest us gooners need to wait this one out. Enjoy your day people, enjoy the game!! The Arsenal rumour mill was in full effect last night with a new name added to the list of potential buys. Fernando Llorente according to sources from Spain claim that the Spanish international striker plans to hold a press conference on Tuesday to make an announcement. That announcement is heavily tipped to be that an agreement has been made between Athletic Bilbao and Arsenal for his signature. 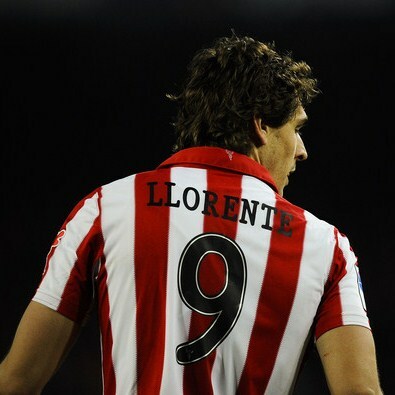 Now if there is even a 1% chance that this rumour is true Llorente would not come cheap. His value would be upwards of £20million and that would throw up the idea that a signing of such a player would signal the fears that skipper Robin Van Persie could be on his way out. The whole rumour could be the brain wave of the Spanish striker’s agent to create a ripple for potential contract negotiations with the club. I personally won’t get excited about this news until some more concrete proof becomes available. True or not true the alleged press conference on Tuesday should hopefully answer all the questions gunners fans may have. This is not the way Arsenal normally conduct transfers so do not have much hope. In the midst of the Llorente rumours gunners fans had to chance to catch a glimpse of another striker recently linked to the Arsenal for the first time.France’s international friendly at home to Iceland had added interest given the fact it would be a chance to see Olivier Giroud in action. Although Giroud was not part of the starting line up he did not fail to impress when introduced to the field. No goals for the striker but for a France team that was two goals down at half time Giroud certainly left a lasting impression on the game and on Arsenal fans thoughts of what could be. A neat one-two leading to an assist for Frank Ribery for the equalizer; then a cushioned header to set up Adil Rami for the winner in the last few minutes. Two assists, not a bad days work if you ask me. In news closer to home Johan Djourou has been given advice from Switzerland manager Omar Hitzfeld that his international future was in threat due to his lack of game time at Arsenal. He was left out of the starting line up for Switzerland’s shock 5-3 victory over Germany as the Switzerland manager hinted that a move away from Arsenal may be his best option. This is an awkward one for Johan to consider after the 2010/11 season where he established himself as a valuable member of the defence during Thomas Vermaelen’s extended lay off. The following season Djourou’s development if we’re all being honest actually stalled and quite possibly went backwards. Starting from England’s Euro 2012 qualifier against Switzerland last summer where Djourou’s performance was nothing short of embarrassing and so began the downward spiral of confidence from the Arsenal faithful in the abilities of the Swiss stopper. Onwards from that game Djourou’s performances in an Arsenal shirt have failed to reach the heights of the season before. The previous seasons performances led to and improved contract extension (3 years I think) early last season. And it is here where the dilemma lies, the contract extension shows Arsene Wenger has faith in his abilities but the lack of game time also shows he has greater faith in other defenders at the club. The ambition question comes up again; we questioned Jan Vertonghen’s ambition through his choice between Arsenal and Spurs. The same applies here; will Johan decide to move elsewhere to gain guaranteed 1st team football at a lesser club or stay and fight for a place at Arsenal and recapture the form from 2010/11 season? I believe he will stay and fight, the comments from Hitzfeld will not register too deep. International managers make these threats all the time, some players react most knuckle down and earn their way back into their managers plans. Besides, Arsenal doesn’t do non lucrative contracts. 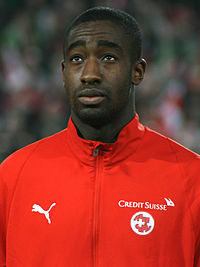 Expect Djourou in Arsenal colours next season. Could Salomon Kalou be the answer to any of Arsenal’s needs? It has been reported that Kalou’s contract will run out at the end of the season and will be available for a free transfer. Arsene Wenger has long been an admirer of the Ivorian and fits the profile of an Arsenal buy in terms of the costs involved for his acquisition. In the grand scheme of things Kalou would be a good purchase as a squad player for Arsenal, he has bags of premiership and international experience and could add something as part of the team but not necessarily as part of the starting XI. The question is if Arsenal has not made moves early enough would Kalou be more tempted to start a new challenge abroad similar to his former Chelsea teammates Anelka and now Drogba. Once you are available on a free there are plenty options to take and it will be down to the individual on what challenge he would like next. He’s at an age where the final payday in the sun is a few years away to take. At 26 he still has plenty to offer whichever club he joins and should not have reached his peak as yet. The big question to ask though is: has he ever shown the potential to prove he can be a big influence on a team, a big team. Throughout the past few seasons and I guess during his whole Chelsea career he has been a player that has always been on the fringes of the first team. More a small cog that helped keep the team functioning; if he were to move to Arsenal I can only see him playing a similar role at the emirates. I would take him to Arsenal as a squad player but this would be communicated to him before he signed anything. No point promising him the world and ending up with an unhappy player on a big wage when he is not starting each week. He would need to prove himself with his performances and earn the right to be a starter. Gunners fans are most likely to be divided on the acquisition of Kalou, given we have not ironed out the future of our Skipper Van Persie there will be questions on whether Kalou is the type of player to keep out captain happy and wanting to stay. Further news developed last night in the French press that Arsenal has been working on a deal for Oliver Giroud from Montpellier. The deal will involve a fee of £8million and Chamakh. Giroud is an interesting player and having recently won the French Ligue 1 with Montpellier will have the winning mentality which always helps. He has also been capped in the past season for France. There is no guarantee he will be a success at Arsenal. The transition from French football to premiership football is not always an instant success and the better players tend to hit the ground running whereas other players still need some time to acclimatize. The prospect of paying less for Giroud by using Chamakh as a makeweight may please both parties. Chamakh has in fairness lost his way at Arsenal. The chances of him recapturing his early Arsenal form seems to diminish with each game he plays in the Arsenal colours. He definitely would benefit with a move to another club to rebuild his confidence and reputation. Montpellier would benefit from having a ready-made replacement for Giroud; on top of that Chamakh has a proven record in Ligue 1 and would hopefully fit in straight away. It will be interesting to see how this one plays out. We are in the midst of silly season and so all alleged links should be taken with a pinch of salt until we hear word from the officials involved with the teams.